What would you do with a week of non-stop relaxation? I’ve had a few of those weeks lately, interspersed with a handful of days when I could also be working. I’m off-season in my otherwise busy year of wedding photography, which means a lot of computer time such as album design. I’ve been able to sit for 2-3 hours at a time and get things done, but I generally count myself lucky for the freedom to go leg-up on the couch any time I need to. I’d like to say I’m reading, writing and painting a lot these days, but honestly, I’ve been knitting in front of the TV. And that’s about it. 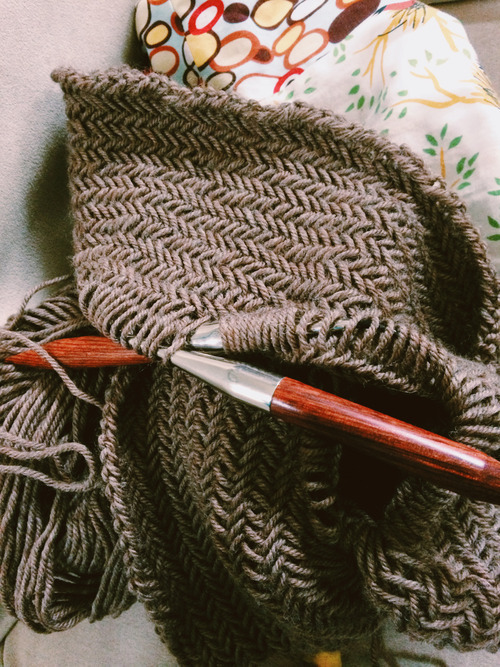 It started with finishing a couple of projects that had been sitting on $20 knitting needles for upwards of a year. I had no excuse not to finish these projects, and couldn’t ever justify buying those needles again just to start something new! A shawl above, that I started in Italy last April. 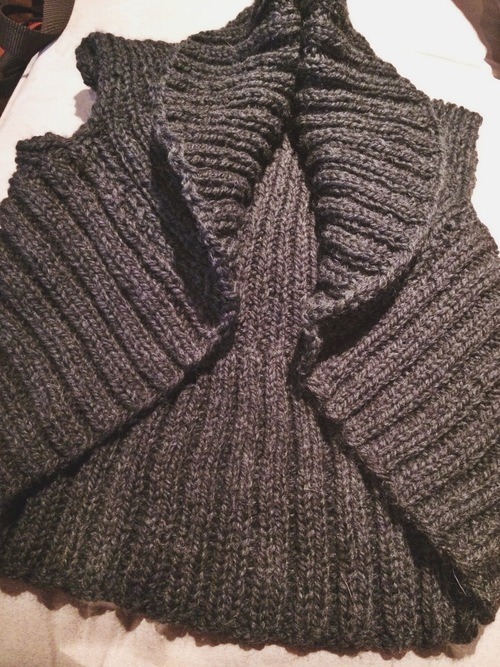 Below is a super easy shrug vest that was embarrassingly fast to complete once I did. 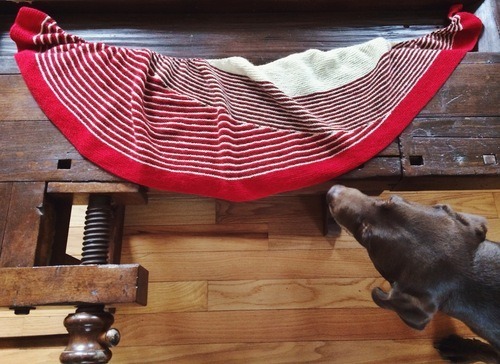 This is the infamous Herringbone Cowl from PurlBee.com. I’m pretty sure every knitting woman knows about this cowl, and I’m so happy to finally delve into it! It’s a difficult stitch, but I’m almost done now! So excited! And I’m even knitting for a few friends! 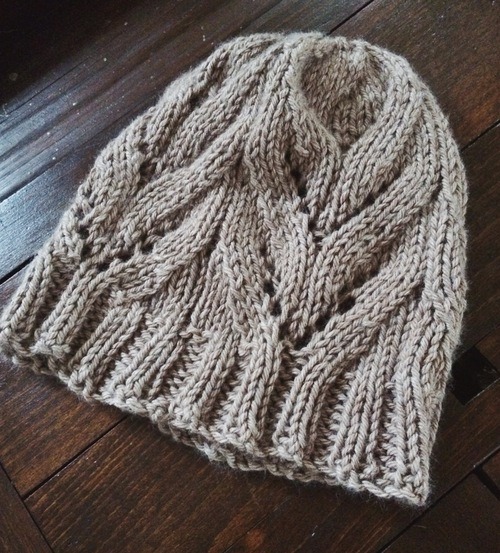 I’ve never been able to finish enough things that I’ve dared to plan gifts, but this hat (same as above) is a top favorite, and a very quick knit. So really, what would YOU do with a week of relaxation? Your own home, not sick, no kids. We’re talking not even laundry, because I can’t do that either. My ultimate answer would be more running and beach walks with the dogs, of course, so it’s okay if that’s yours too ;-) But to really, truly sit on the couch and be otherwise healthy… I’d like to start journaling more this year (and I have been! ), and I wish I had my watercolors out from the basement. Knitting was a great move to the top of the list this month though! 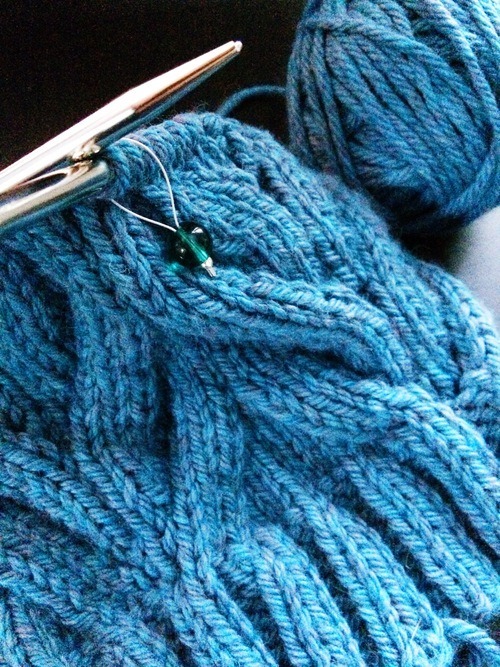 More of my day-to-day couch happenings on Instagram and Ravelry!